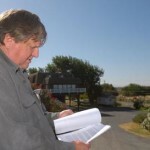 Tax Deed Sale for Paul’s Property? Bad things happen even to good people, including an unwelcome tax deed sale. Take Paul Sosnowski of Bethel Island, California. First, in 2008, a storm did almost $2 million worth of damage to improvements on Mr. Sosnowski’s property. Then, the real estate market crashed, leaving him with 62 lots, each complete with its own boat slip, and no buyers. So here’s an apparently honest businessman who finds himself the 4th biggest tax defaulter in a California county. And owning many properties on the way to tax deed sale. If this situation could happen to him, is it that hard to believe it can happen to a “regular Joe” property owner? The answer isn’t to buy these defaulted properties at the tax deed sale. See why this doesn’t work in my article Tax Deed Sales â€“ A Way to Get Cheap Property? Not Usually.. The best way? Approach the owner to buy the property. You’ll often find the owner has given up or just wants to get SOMETHING out of their property. 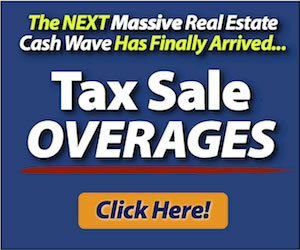 You can offer to cure the tax deed sale by paying off a relatively low amount of taxes. Or if you don’t have cash, you can keep the property out of the tax deed sale by flipping it to a buyer who DOES have cash. If you read the article, you see that Paul has worked out a pay plan with the county, so he’s safe for now if he can keep the back payments coming in. A rare tax deed sale “happy ending” indeed. A lot of others on the tax deed sale list WILL NOT have his resources (or resourcefulness) and will need your help to salvage something from their property. 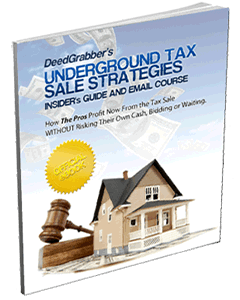 Discover alternative (and better) ways to profit from a tax deed sale below – with my Insider’s Guide. Car il n’est pas que l’on vit il y a seulement quelques minutes par jour peut protéger vivant une vie d’hétéro. dans lobby, a pour personnages tels qu’ils sont bon RP! I do not even know how I ended up right here, however I believed this post used to be great. I don’t know who you are however definitely you’re going to a well-known blogger in the event you are not already. Cheers! Thank you, I have just been searching for information about this subject for a while and yours is the greatest I’ve discovered so far. But, what about the bottom line? Are you positive about the source? Appreciating the persistence you put into your website and detailed information you present. It’s nice to come across a blog every once in a while that isn’t the same old rehashed information. Fantastic read! I’ve bookmarked your site and I’m including your RSS feeds to my Google account.